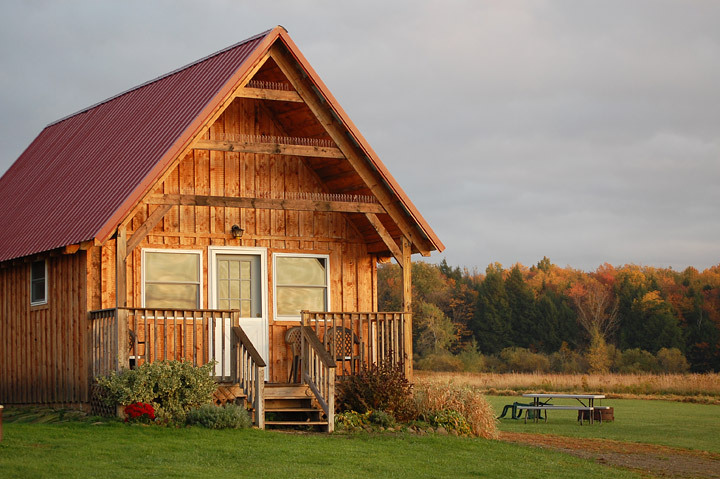 Amish cabins are a fantastic way to have a relaxing time and enjoy the simplicity of life without urban hustle and bustle. 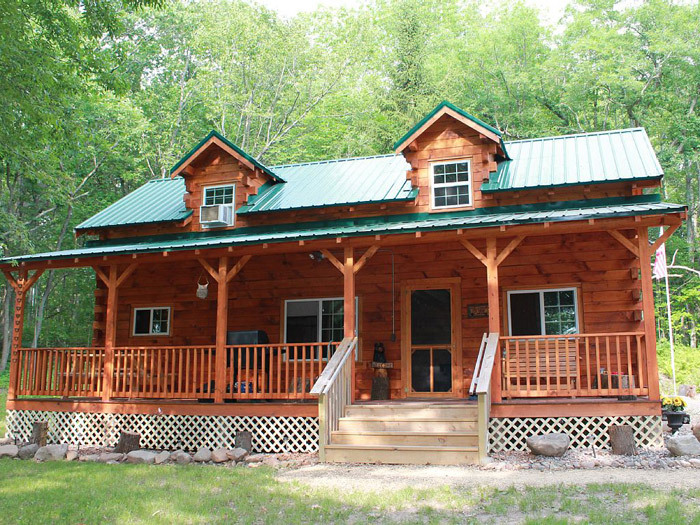 How about having a retreat by a lake, in the mountains or in the forest where you can rest in the comfort of a rustic log cabin? 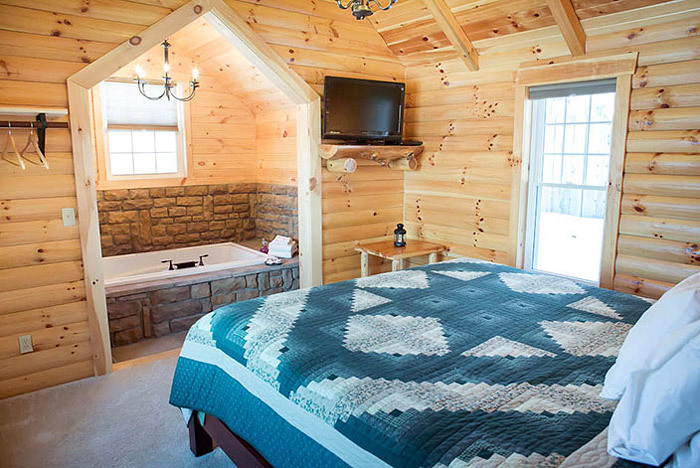 Many people have found out the advantages of Amish built cabins and enjoy nature and time with family and friends. After all, those are the most important and special moments for everyone, aren’t they? 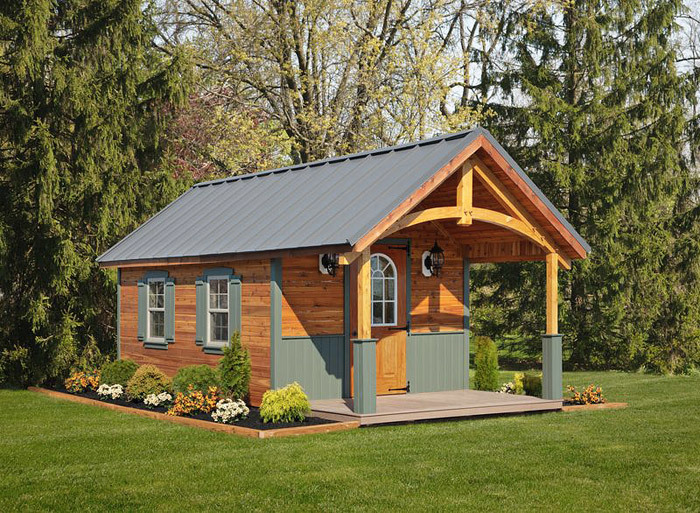 Amish cabins – pre-built or modular log cabin? 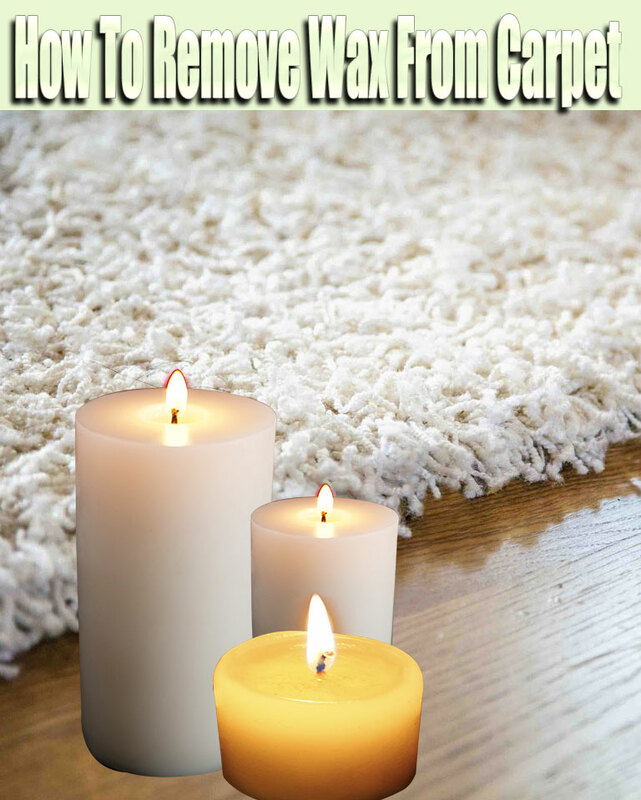 When looking for different Amish cabins you have to plan where you want your Amish built cabin, what space you need, the layout of the furniture and the functional areas. 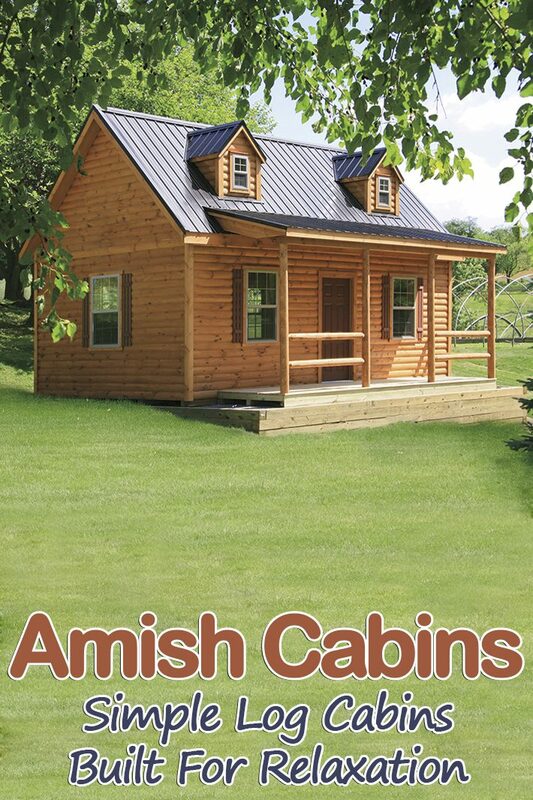 There is a number of companies that offer Amish built cabins, some family owned and operated, and the Amish craftsmen are known for the attention to detail, the high quality of materials used in the construction and the precision of work. 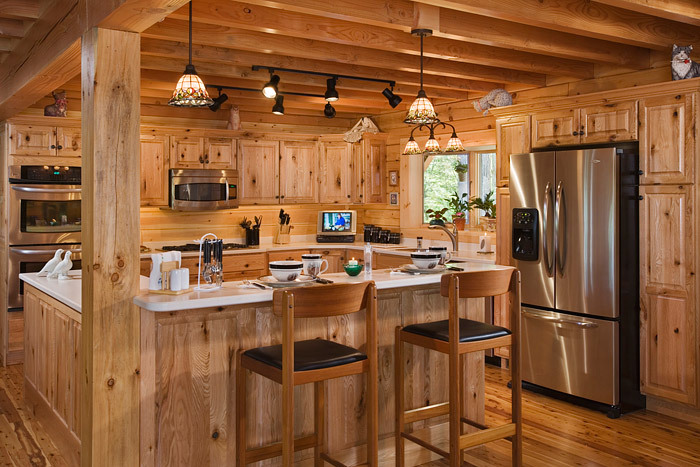 You can choose pre-built cabins or modular log cabins which can be assembled on site. 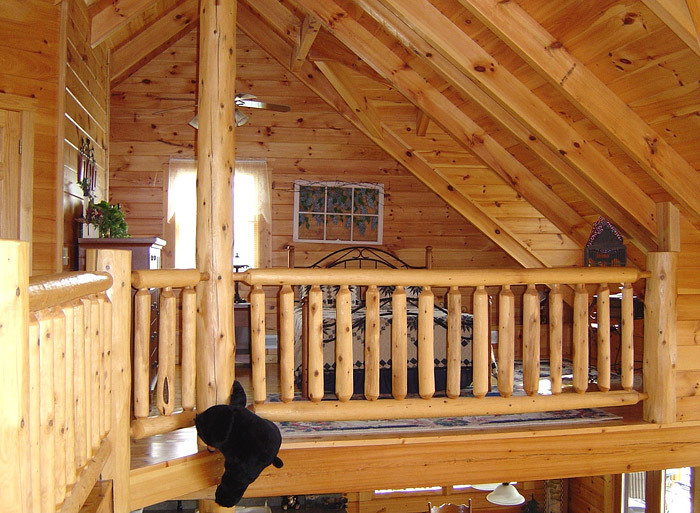 What is the difference between pre-built (manufactured) and modular Amish log cabins? 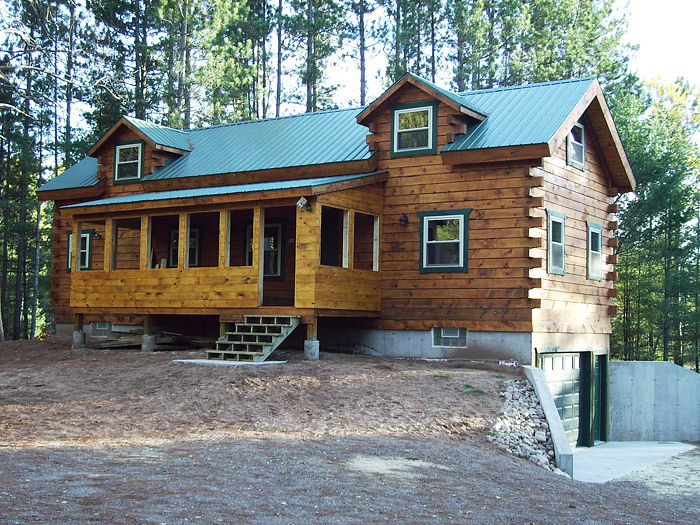 Pre-built cabins are constructed on framing, usually lightweight, and very often are the choice of people who opt for a tiny house due to the affordable price tag, less stringent standards, and of course the mobility. 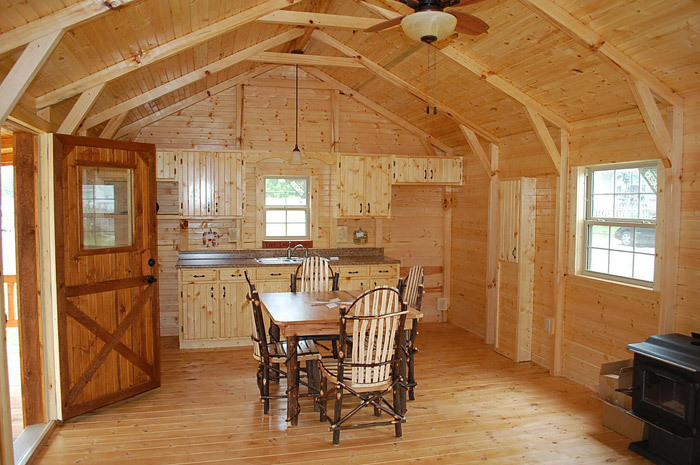 Modular Amish cabins and modular homes are constructed entirely in a factory and transported to the site. 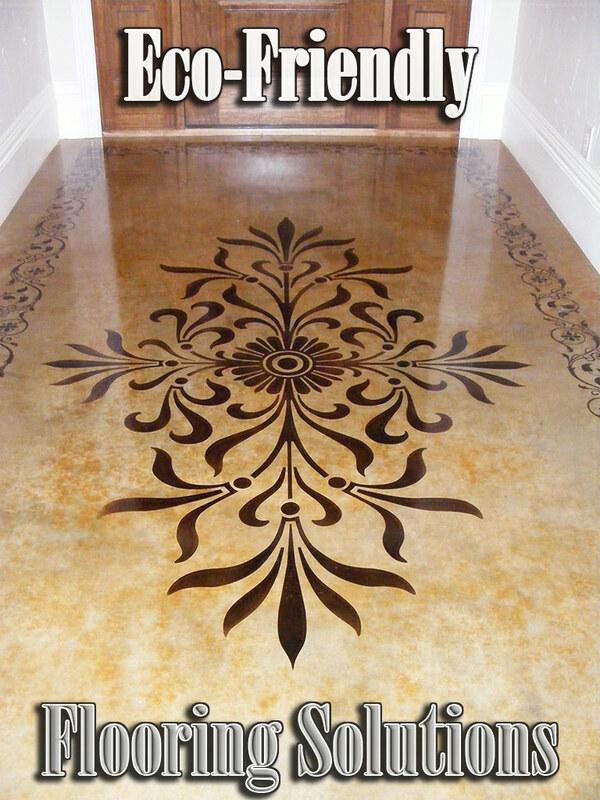 They are more expensive but allow much more design freedom. The construction process is closely monitored and regulated so that modular homes meet strict quality control requirements. Modules are shipped and assembled on site and have to comply with local building codes and regulations. 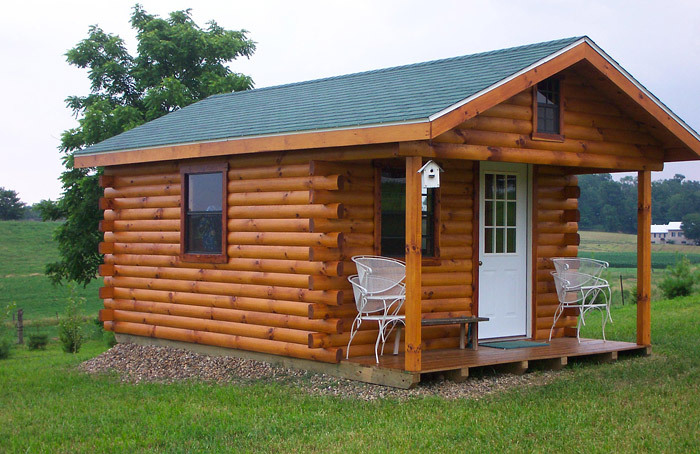 When choosing your Amish log cabin you may get easily confused as very often the terms modular cabin and manufactured cabins (homes) are used interchangeably. 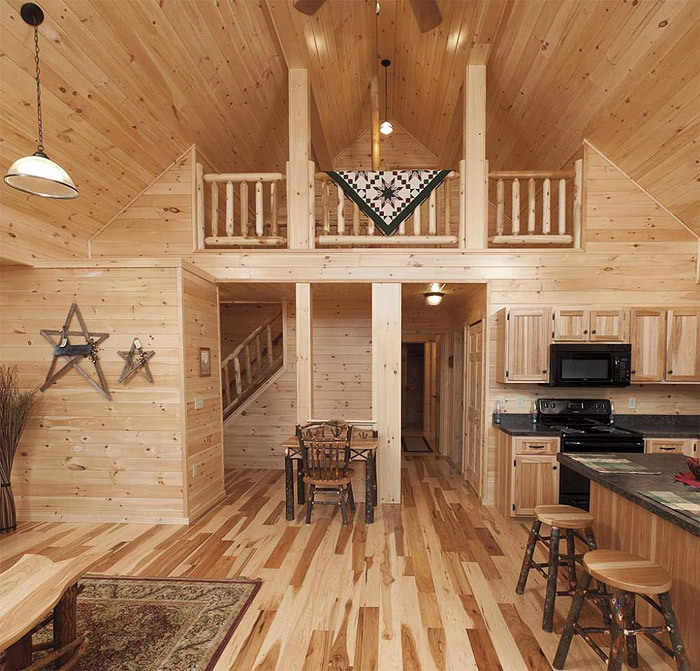 Although exterior design of Amish cabins is maybe too simple and traditional, the interior can be most welcoming, cozy and even chic. 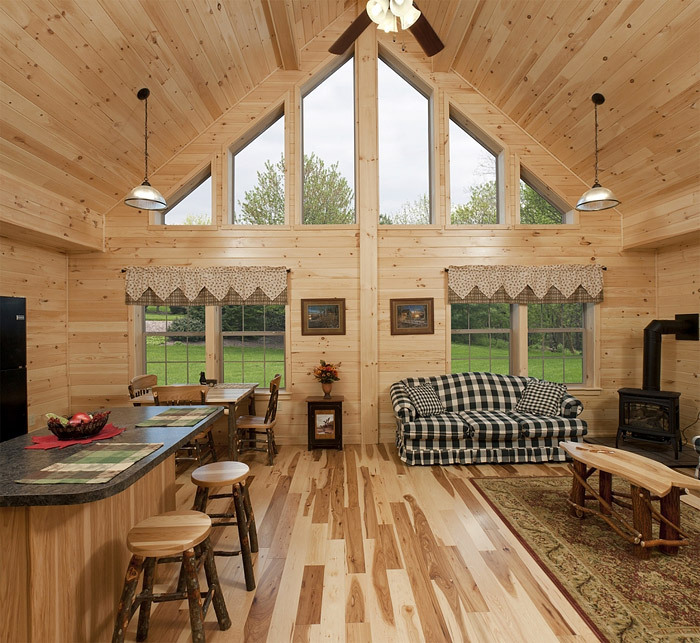 A major advantage is the fact that you can choose between various standard options offered by the manufacturers which include living area, kitchen, bathroom, bedroom or customize your Amish built cabin as per your needs and taste. Whether you will have a porch or not is entirely up to you. 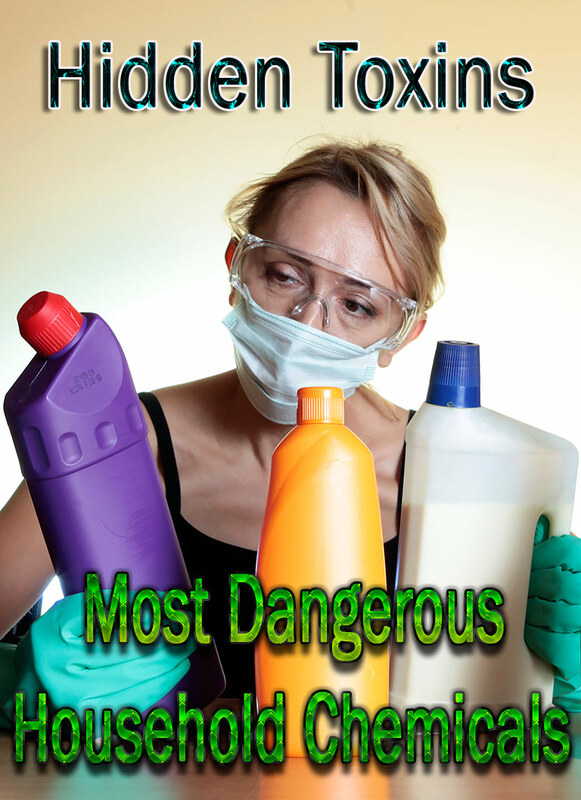 As with any home, there are many decisions to be made – floor and walls finish, doors and room dividers, kitchen cabinets, furniture, finishes, etc. A loft bedroom is always a good option to accommodate friends, or perhaps you plan to have a small office space to keep an eye to your business while away? There are so many possibilities, but whatever you choose, you will definitely have an attractive rustic cabin and spend many happy hours.